It’s almost disturbing to me that I, the carb lover that I am, is writing a post about low carb items I like. However, low carb is the reality of the keto lifestyle, so you have to embrace it if you want to be successful, and you might as well like what you’re eating too, right!? Rao’s, Mid’s and Victoria are all great sauce options when following low carb. They range fro 3-4 net carbs per servings and have a clean ingredient list. Just be sure to check the label…not all flavors are low carb! Crazy Richard’s is one of my favorite brands of PB (along with Teddy’s) – it is inexpensive but only contains peanuts and salt as the ingredients! This stuff is amazing on burgers, tacos and of course salad. It’s 2 net carbs per 2TBSPs and full of creamy, delicious flavor. G. Hughes Sugar Free BBQ Sauces are 2 net carbs per 2 TBSP and a summer must have! So these are my favorite things ever right now. (My absolutely favorite is the Cinnamon Roll which is not featured in this photo because I hadn’t found it at the time). These range in net depending on the flavor (remember, for net carbs you subtract the fiber and any sugar alcohols from the carbs on the label) – They are perfect for satisfying a sweet tooth or while traveling! Low Carb ice-creams are a must for me. I’m sorry, I just can’t live without ice-cream. I know they’re high in sugar alcohol & some people don’t like that, but as an occasional treat, why not?! My favorite flavors are Cold Brew by Enlightened and I LOVE Pancakes & Waffles by Halo Top. Energy drinks have never been my thing. They typically taste gross and make me feel sick to my stomach, but these….uh…game changer! I’m a caffeine junkie (not proud of this) and there are days when coffee just doesn’t cut it, so I’ll have one of these. They have zero calories, carbs or sugar. The contain creatine, caffeine and CoQ10. The only other flavor I’ve tried besides these are the Pina Colada and they’ve all been good. I feel like this post is getting a little long so I’ll stop here. There are so many great items on the market like: Nekstella (it’s like Nutella), ChocZero, Lily’s SF Chocolate, KetoFeed protein and more. Follow me on Instagram to see what new items I’m trying and if you have a favorite Low Carb item you can’t live without, please comment below or reach out to me on IG! Disclaimer: As a Crazy Cups Ambassador, I was sent a package of coffee to review. and no compensation was exchanged. All opinions stated are my own. I have sweet tooth bigger than my head. Cookies, cinnamon rolls, ice-cream…you name it! I have a hard time saying no to them. I also have a hard time saying no to coffee, so this is where Crazy Cups becomes my saving grace! Now, if you follow me on Instagram or if we are friends on Facebook, you know that I LOVE me some coffee! I am always picking up new flavors of K-cups to try and my morning posts typically have something to do with coffee, especially dessert flavored coffees. Knowing this about me, it will come as no surprise that when Crazy Cups reached out to me and asked me to become an ambassador for them, I said YES! Their products are organic and fair trade. Their cups have 13g coffee grounds, which is 30% more than the competition. …and more! Don’t those sound good?! Speaking of Death By Chocolate…it’s my new obsession! This flavor can cure just about any chocolate craving with the smell alone. My entire kitchen smelled like a chocolate cake as this little pod brewed, it was absolutely heavenly! Now, I drink my coffee iced and black (which is why this is a basically a calorie free treat for me) and the flavor of this was perfectly balanced. It was chocolaty but not so sweet that you forgot you were drinking a cup of coffee. Can you believe we are only 9 days away from Christmas?! I feel like we were just carving the Turkey and discussing Black Friday sales. Time needs to slow down just a little so I can catch up. If you are anything like me, the majority of your shopping is done and you started to wrap, but the one thing you forgot about were the stockings! Dammit! Well, I put together a list of 10 stocking stuffers for fitness lovers, that just might help you out! Bonus: Each item is at or under $20 and many can be found locally without shipping! Score! BONUS: Use the code JOY30 for 30% off these! If you have a runner in your life, their feet take a beating! Give them a treat with a pair of Shea Infused Slipper Socks ($8.50) and some True Blue Foot Cream ($15.00) from Bath & Body Works. I hope this list sparks some ideas for you as you wrap up your holiday shopping. If I missed a favorite of yours, please share it with me below! Obviously when I received word from Influenster that I was selected to take part in the #HelloKeurig campaign, I was super stoked! We were already proud owners of a Keurig brewing system and we loved it. I know some people don’t like Keurig’s and if you’re not using a french press or fancy schmancy, professional machine you aren’t a true coffee lover but I completely disagree with that and tend to just laugh to myself about it. With my hectic daily schedule, three coffee drinkers in my house and two kids, I love the fact that we don’ t all have to agree on a coffee. We can each wake up, pick a K-cup flavor to fit our mood, brew, sip and move along with our day. I also adore that my kids can grab a mug, pop in a hot cocoa cup and enjoy a warm treat for themselves. To me it’s the best of all worlds for everyone and Keurig improved upon it with the new Keurig 2.0. The Keurig 2.0 now features a carafe option which is perfect for when you have company over and want to brew a few cups of coffee in one shot. If also perfect for those of us who want a cup of coffee now and want to have some left over to cool off so it can be added to a post workout protein shake. (Did I mention that I LOVE coffee?) The K550 model, which I received, also boasts a larger water reservoir which I absolutely love. I tend to be the last one to make their coffee in the morning, so I am no longer greeted with the “Please Add Water” message…which was almost like my old Keurig’s sarcastic way of saying Good Morning, to me. This new system is full of bells and whistles. It has a new sleek design, lots of customization options like a nightlight, clock options, auto turn-on/turn-off, brew strength (which might be my favorite new feature) and a night light! Yes…I said a nightlight! You can also customize the wallpaper on the display and there is a new smart brewing technology (which I will get into in a minute). We were very impressed with the machine as we unpacked it and couldn’t wait to try our favorite coffee’s with the new brew strength option…but that’s were things went a little wrong and my temper started to flare. The carafe that comes standard is plastic and does’t hold heat well. There is a stainless steel version (sold separately) which I feel should come standard with the deluxe K550 model. I have not used the stainless steel version, but I would hope it hold heat in better than the plastic one, since there is no warmer option. What are your thoughts on the new Keurig 2.0 system? Do you think you’ll be saying #HelloKeurig anytime soon? Last week I began the 21 Day Fix and I’m loving it! What makes this experience even better are the people who decided to join me in a Challenge /Accountability Group. Over the years I learned that accountability partners are essential to success, so organizing one and watching people succeed is just full of awesomesauce! The aspect of the 21 Day Fix that intrigued me the most was the color-coded, portion-control container system that it uses. I have really cleaned up my diet over the past 5 years but portion-control can still be an issue for me and believe it or not, you can overeat healthy foods. Crazy, right?! • Simply put your choice of food in the color-coded container—if it fits, you can eat it! One of the unique features of this program is that it involves no counting of any kind. Outside of a quick math equation to figure out your calorie level, you don’t have to worry about numbers…well…just how many of each colored container you are allowed to have daily. That means you will not need to worry about weighing your food, fat content, carbohydrate counts or calorie amount in the foods you consume during the plan. In my opinion, the most important part of this nutrition program is being prepared. Meal Planning is key with the 21 Day Fix and I think Meal Prepping helps a lot, too. To keep my Challenge Group on track, I designed a meal planner, grocery list and color-coded cut out visual to help them plan their week with ease. Another great tool are these colored sandwich bags that I found at Target. The come four colors to a box (Red, Yellow, Blue and Green) and are perfect for meal prepping. All you do is measure your food in the container and then put it into the colored bag to match. I do this with frozen veggies that I use in my omelets, rice and protein items so I have plenty of grab and go/grab and cook items on hand through out the week. I wish they had a Purple bag for my fruits, but I just use a clear sandwich bag for those. Another useful bag size to have are the snack size ones. These are perfect for storing nuts, seeds, flax and other items that go in the Orange container. Included with this program is a 30-minute workout for each day of the week and the only additional items you need are dumbells or resistance bands and a yoga mat. If you order the program through a Beachbody Coach you also receive a Bonus Workout called Plyo Fix. The workouts are all challenging but nothing crazy like Insanity. There is a moderator in every workout, so you can either follow her if you are new to fitness or you always have the option of following the group for as long as you can and then switching to the modified move if you begin to get tired. I love this because it offers lots of room for growth and lets face it, not every workout is our best. Sometimes you are tired and not really into it, so while you need to give it your all during every workout, sometimes all you can give is the modified version and that’s okay…cause you’re moving and not just sitting on the couch watching TV and shoving chips into your mouth. The Total Body Cardio Fix is a fast paced cardio workout that can be done with your own body weight or can also be done with weights and/or resistance bands to up the intensity. The 30 minutes include two exercises done for four rounds. There is a short 20 second rest period in between each round for recovery. The purpose of the Total Body Cardio Fix is to give you a whole body cardio workout while toning every muscle from head to toe. The Upper Fix works the upper body, including arms, chest, shoulders and abs. You can use weights and resistance bands with this workout as well or you can simply use your own body weight. There are five exercises that will be done for two rounds with a 20 second rest period in between. You can expect to do push-ups, scissor twists, planks and presses, among others. This workout focuses on the lower body, with a special focus on most women’s problem areas, the legs and buttocks. Once again, you will be doing two rounds of exercises with a rest period in between that is 20 seconds long. Everything from your calves to your buttocks will be sore after completing this 30 minute workout. The Pilates Fix focuses mostly on floor exercises that include basic Pilates moves to strengthen your core, elongate your muscles and firm up your lower body. The Cardio Fix is a workout based on High Intensity Interval Training (HIIT) similar to Shaun T’s workouts in the Insanity and Focus T25 programs. It involves minute long bursts of very intense exercise with 20 second rest periods in between for recovery. Explosive, plyometrics moves such as skater jumps and box jumps are mixed with classics such as jumping jacks and push-ups to give you a sweat inducing, calorie torching workout for the entire 31 minute length of the DVD. Although the Yoga Fix seems less intense than the others, it is by no means an easy workout. It involves plenty of stretching to help recover from the week of more grueling activity, and is to be done on the seventh day of the week in addition to one of the other videos. In addition to the six workouts already included with the 21 Day Fix Program, you will also receive the Dirty 30 Workout to add to your fitness routine as a bonus gift. The Dirty 30 is similar to a CrossFit workout, and includes a variety of exercises that will be repeated for four rounds in order to help you carve out a leaner, stronger, more defined physique. The Plyo Fix workout is a bonus. It does not come with the program unless it is purchased through Team Beachbody and can be done in addition to any of the daily workout videos on the 21 Day Fix workout schedule. It is filled with plyometric exercises that help improve overall strength and stamina. As you can see there is a lot of tools included with this program. The information given in this post is based on the Essential Pack. There is also the Challenge Pack which includes all of the above plus Shakeology at a discounted price and 30 Days of Club Membership for FREE (this gives you access to recipes and meal planning tools). The final option is the Ultimate Pack which comes with everything included in the Essential 21 Day Fix Pack, plus an insulated bag to store your food while on the go, two additional workouts, a large “on-the-go” container and a resistance band. The two additional workouts are Flat Abs Fix and Barre Legs. They can be done in addition to the other workout videos already included with the program in order to turn up the intensity throughout the week or as a change of pace. So far I’m really enjoying this program and the results from week 1. When I weighed in I didn’t have any change in my weight, however I did lose 2 inches in my waist, 1.5 inches in my hips and .5 inches in each thigh! This is why it’s so important to take your measurements when you begin a new program. The scale does not and will not ever tell you the full story. I would hate to see someone step on the scale, not lose any weight and begin to beat themselves up or worse, quit over that. If you are following the program as laid out, sometimes you just have to trust the process and allow your body time to adjust. Measurements help to give a good insight as to what’s going on and are very important. If you don’t have a change in either weight or measurements, you may want to speak to your coach and tweak a few things to better suite your needs. If you have done the 21 Day Fix, I would love to hear about your results. If you are interested in the program and would like more information, please feel free to contact me. Thanks to Bondi Band and Fit Approach, I have been given the opportunity as a Sweet Pink Ambassador, to try Bondi Bands (and they even gave me an extra one to giveaway to one lucky reader, so keep reading)! Right now you’re probably wondering….What’s a Bondi Band? Bondi Bands are headbands composed of a unique blend of nylon, lycra and spandex. The result is a stretchy yet form fitting band that holds up and won’t slip, plus they boast a moisture wicking effect that pulls sweat away from your head, so it can evaporate instead of running into your eyes. If you’ve ever had sweat drip into your eyes, you how much that burns! I typically don’t wear headbands because I get headaches from them, but the Bondi Band headband was very stretchy and pretty darn comfy. I love how the Bondi Band can cover my ears, depending on how I wear it, which will be super useful come the fall and winter! I’m really looking forward to trying them out then. Bondi Band “sayings” headbands are unisex, 100% American Made (which is a big plus to me) and perfect to be worn on their own or under hats, helmets and visors. As I mentioned, they use a stretchy, breathable material, which allows them to fit virtually every head size and shape. 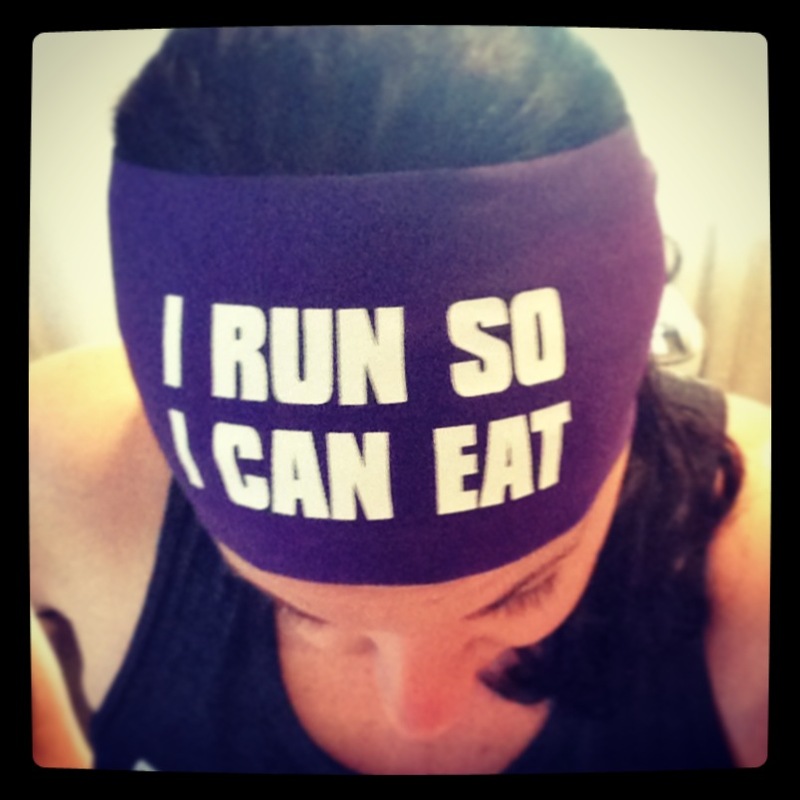 Indoors and in warm weather outdoors, the moisture wicking headbands are great to wick away sweat and in colder weather they are also great to keep ears warm, along with keeping hair back. 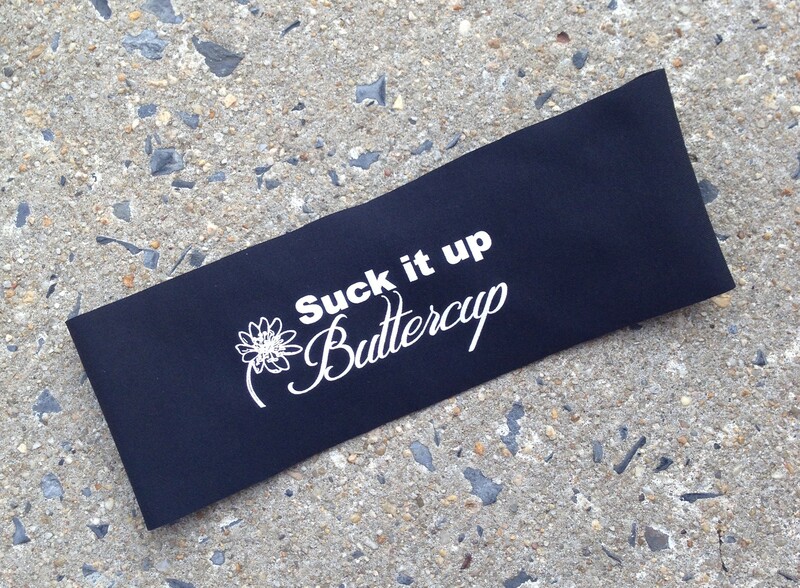 The “sayings” headbands are approximately four inches in width and can be worn wide or folded to the desired width. Have kids? Bondi Band makes headbands for kids bands too! They also have other cool products, like hats (with cut outs for pigtails or ponytails), sweat towels and compression gear. They have a wide variety of fashion patterns, to heavy-sweat wicking bands, with fun sayings and they won’t break the bank! Want to win a Bondi Band?! Good….because starting today, I’m giving this one away! Head over to my Instagram feed and Regram the Bondi Band Giveway graphic. Include a comment with your favorite way to sweat. Tag @Bronc787 @BondiBand & @FitApproach in that regram. Like what you see on the Bondi Band website and want to order now? Use the code SWEATPINK and save 10% on your order, now thru June 28th! *Excludes Bargain Bin, Design Your Own and Custom Items. Studying, errands, working out, cleaning the house and homework with the kids, typically have me begging for a power nap around 3 pm. Like typical adults, my day begins with a prayer in front of the Keurig machine as I look at the never ending list of tasks for my day. I try to avoid having coffee after noon but every now and then I give in and have some just so I can make it through my day. I was recently given an opportunity from Fit Approach through their Sweat Pink Ambassador program to try a revolutionary new product called LYFT Clean Caffeine. 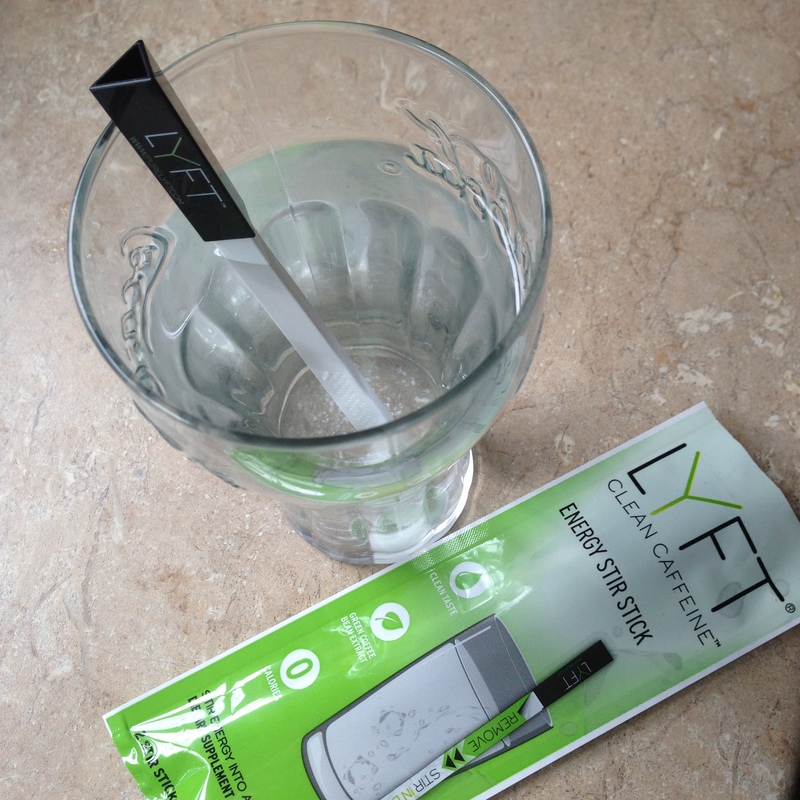 LYFT Energy Stir Sticks are an innovative “clean caffeine” energy product infused with all natural caffeine from green coffee bean extract, along with vitamins A and B complex that provide a sophisticated energy experience. They contain zero calories, have a clean taste and can be used with a variety of different beverages from water to freshly pressed juices to coconut water and cocktails. The LYFT Energy Sticks contain no artificial flavors, sweeteners or preservatives and have the caffeine equivalent to one tall coffee. Click here to compare LYFT Energy stick to other energy drinks on the market. Today was one of those days where I needed a “pick me up” so I decided to try one of the LYFT sticks. They are very easy to use! All you do is peel off the label, dunk it into an 8 oz drink of choice and then stir it around. I opted for water since I was running behind on my intake for the day and I wanted to see what kind of flavor it gave to beverages. I wasn’t a fan of it in the plain water, which was a little upsetting. It had a sweet, yet “off” taste to it, so I added a bit of juice to my glass and it was instantly better. Within a few minutes I felt a nice little jolt of energy, without that jittery feeling I’ve had when trying energy drinks in the past. If you are looking for a “clean caffeine” option to get you through the day or to replace soda and energy drinks, I would definitely give LYFT Energy Sticks a try. They are also the perfect on-the-go option and can easily be stashed in your gym bag, backpack or purse. PLUS…you can get FREE shipping by entering code WELCOME when ordering from their site. What are your thoughts on energy or pre-workout drinks? Recently I was given the opportunity to preview Melissa Costello’s new book, “The Clean in 14 Detox“, which was just released yesterday! When I heard about Melissa’s new book, “Clean in 14 Detox” I knew I had to check it out! Cleansing is a good thing, when it’s done correctly. It rids the body of accumulated slow poisons, which can make your metabolism sluggish, lead to stomach inflammation and digestive issues, as well as many other chronic issues and of course…unwanted weight gain. The approach taken in Melissa’s book will not only flush your body of toxins, but it will free your mind of negative patterns and allow you to find balance in your life. While there are many detox programs available, “Clean in 14 Detox“ is the only simple, 2-week plan that’s not about deprivation, frustration or living on shakes or pills. This cleanse is about enjoying delicious plant-based, whole foods that not only taste amazing, but will melt fat, curb cravings and provide your body with the natural energy it needs! Sounds to good to be true right? Well, if you follow the plan, it’s not. We live in a society hooked on convenient, over-processed food, that is full of chemicals and sugars that we don’t need. The key to eating healthier is changing your relationship with food and Melissa has included everything you need. Detailed shopping lists and mouthwatering mix and match meal plans for 14 days. This cleanse isn’t just about food, it’s about your mind too. I love that there are daily actions which include journal writing, reflection and even meditation. This book is truly the total package needed to deal with food cravings and sugar addiction, without wanting to kill everyone you comes into contact with, during the 14 day process. 1. 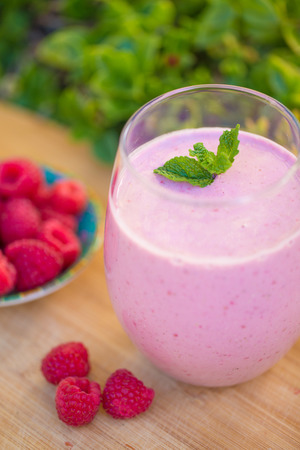 Blend the ingredients in a high powered blender until smooth and creamy. If you are looking to kick your sugar addiction, increase your immunity, have better digestion, a more efficient metabolism and glowing skin, I highly recommend that you pick up this book, cut the CRAP and truly take a look at your relationship with food. I don’t think you’ll be disappointed. Have you ever completed a cleanse? What kind of cleanse was it and how did you feel during and after?